T-Box Junior is the new educational technology proposal that T-Box provides for preschool, focusing on children of age 3 to 6. It includes a complete curriculum with all the resources needed to teach it in schools: strategy and learning materials, internet platform, training and technical-pedagogical assistance. T-Box Junior focuses on using technology as a tool to facilitate creativity, exploration, logical mathematical thinking, and engaging activities in the educational process. In T-Box the protagonist is the student. Educational projects enable experiences using technology to facilitate active and totally practical learning, where tasks or problems are solved creatively. Having engaging activities is a fundamental tool in T-Box. Games are incorporated as a mean to enable children to communicate, create and cooperate. T-Box encourages students to build a useful and relevant learning. Projects are enriched with technology that enables the discovery of new experiences and the connection with their prior knowledge. It is essential to provide students with an affective and confident context. The projects proposed by T-Box facilitate the safe and responsible use of technology. Evaluation is an essential part of the educational proposal of T-Box. At preschool, assessment is focused on constant recording observation as well as a portfolio, which is done for each project. Use existing technology creatively and relevantly. T-Box Junior does not only want students to simply use technology, but to use it by applying creativity to solve various tasks associated with a project of their interest. Manage information efficiently and responsibly. T-Box Junior helps students understand various messages and utilize the useful information for a specific task. Communicate ideas and opinions effectively. T-Box Junior projects facilitate students to communicate ideas, opinions and emotions using different media and formats. 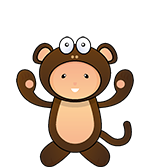 It is supported by the development of literacy skills and hand-eye coordination. Through learning experiences proposed by T-Box Junior, technology is used to create opportunities so students can work cooperatively and practice values such as respect, courtesy, fairness, tolerance, among others. Computational Thinking is a centerpiece of the T-Box Junior educational proposal. This approach combines critical thinking skills with the power of technology to solve problems. T-Box Junior works with Project Based Learning methodology. This methodology facilitates the current trends in early childhood education, using a “globalist” approach of the educational process, addressing contents and developmental areas in an integrated and non-biased way. Each educational program begins with a story that introduces the topic in an interesting and engaging way, as well as presenting the activities that will be done. In this stage, children are encourage to develop their imagination, attention and literacy skills. Through practical activities, students solve several tasks to complete the project. This phase allows them to experiment with various options and processes, creating opportunities for discovery, creativity and expression. Children must complete the core task of the project, by applying what they have learned from the previous stages. Students solve the given challenge by using their Computational Thinking. The purpose of this stage is for students to apply what they have learned throughout the project in an activity that goes beyond the classroom. For example, students can work together to spread a message in their family, in their school or community. For these ages, T-Box recommends one class hour per week. 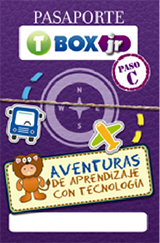 T-Box Junior has tools and digital materials, which will be accessible from the internet platform. 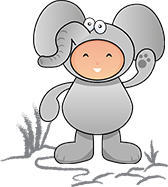 PaintBox: is an image editor for children in T-Box Junior. It has a variety of tools such as stamps, text, drawing, painting, backgrounds and effects, among others. 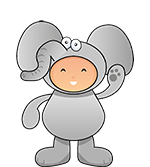 StoryBox: is an application in the Internet that children can use to create interactive stories. Students can program the basic actions of the characters in the story. 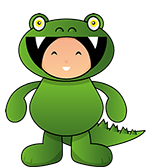 Tales and Stories: the T-Box Junior platform has numerous stories that are used in each project. These stories are illustrated and include audio so students can listen. Educational resources: in this platform, it is possible to access the educational resources that will be used to carry out each educational project. Those educational resources are: an interactive guide for teachers, work files, websites and demonstrations. 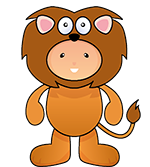 Web site directory: this directory includes web sites specially classified for preschoolers.  These sites contain activities and games that may be used in the classroom or at home. “Apps” directory for children: this includes a list of “apps” for mobile devices that promote student learning in preschool. These “apps” can be used within the school or in the family. Students have a print format of the “T-Box Junior passport”, which will be completed during the school year. This material includes the access code to the online platform and basic directions for using this resource. Observation is an indispensable technique for evaluating the educational process in preschool. Each project uses a rubric to record how the performance indicators are associated with the given indicators of achievement in each project. The assessment can be completed by checking the portfolio that students create for each project. The portfolio analysis is related to the performance defined in the project´s rubric. T-Box Junior includes a concrete solution to encourage the creative, responsible and safe usage of technology in preschool. Schools have educational projects that provide enriched learning experiences through technology, which cover the main areas of development for children. It provides a strategy and technological tools according to the current trends in early childhood education, which promote meaningful learning through a playful and stimulating environment. It facilitates the involvement of the whole school community, to enhance children’s learning, through projects that include activities, resources and tools to communicate, collaborate and share beyond the classroom. © 2019. Technology Box Inc. All rights reserved.